Downing Street says it has not ruled out a "windfall tax" on energy companies to pay for handouts to families struggling to meet bills. And it dismissed suggestions the idea had only been revived to put pressure on the companies to make concessions. 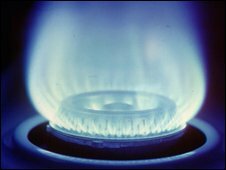 Officials are locked in talks with the energy giants, with an announcement on help for consumers due next week. Chancellor Alistair Darling has said he has "serious reservations" about a windfall tax. Mr Darling said he "was not minded" to impose such a tax as the companies could simply pass the extra cost on to customers. Business Secretary John Hutton has expressed similar scepticism and last month warned agaisnt deterring energy companies from investing in Britain. But the government is coming under increasing pressure from its own backbenchers, with an estimated 100 Labour MPs indicating support for a windfall tax. And the prime minister's official spokesman insisted it was still an option - and had not just been raised to put pressure on the energy firms. "Our position has not changed. We want to work with the energy companies but we rule nothing out." The spokesman described talks with the energy companies as "constructive." Laura Schmidt, a spokeswoman for the Association of Electricity Producers, which represents the energy companies, denied they were "playing hardball" with the government in negotiations. But she told BBC Radio 4's The World at One: "A windfall tax would be a very bad way of addressing the fuel poverty issue because it's a very short term measure that risks really damaging the relationship between government and businesses. "And [it] would also send a bad signal to companies that are contemplating about £100bn investment in the energy industry in the UK." She denied claims by Lib Dem leader Nick Clegg that the energy industry's stance amounted to "blackmail" of the government. "A lot of people seem to assume that a windfall tax would be painless for companies and, of course, companies are already operating in a very difficult business environment at the moment...and they have to buy fuel at world prices." She also rejected claims the energy firms had gained a £9bn windfall from the EU emissions trading scheme. Organisers of the campaign for a windfall tax say they have secured a resolution on the issue to be debated at the TUC conference next week, which they claim is almost certain to be passed. And they are hopeful of ensuring the issue is also debated at Labour's annual conference in Manchester later this month. Frank Field, the former minister who led the successful campaign for a U-turn on the 10p tax band, said ministers should welcome backbench pressure as it would strengthen their hand in negotiations. But he said Labour MPs were more concerned about "whether the package when it is announced is adequate to help those people who are clearly going to be put at most disadvantage with these rapidly-rising fuel prices". And he accused French-owned EDF of using British consumers to subsidise energy prices in France, where increases were much lower than in the UK. But EDF's former chief operating officer, Derek Lickorish, now head of the government's Fuel Poverty Advisory Group, said it was not a fair comparison as French electricity was 80% nuclear while the UK still relied on fossil fuels. Could a windfall tax work in practice?